I think that once you're a blogger, all of the terminology becomes a part of your everyday lingo. Words like bounce rate, links like rstyle.me, and platforms like liketk.it become natural vocabulary. But for those who read blogs instead of write them, we rarely take the time to explain what all of this language means - and what those clicks mean for bloggers. I thought I'd take a quick second today to break down some of the terminology for you! Sound good? 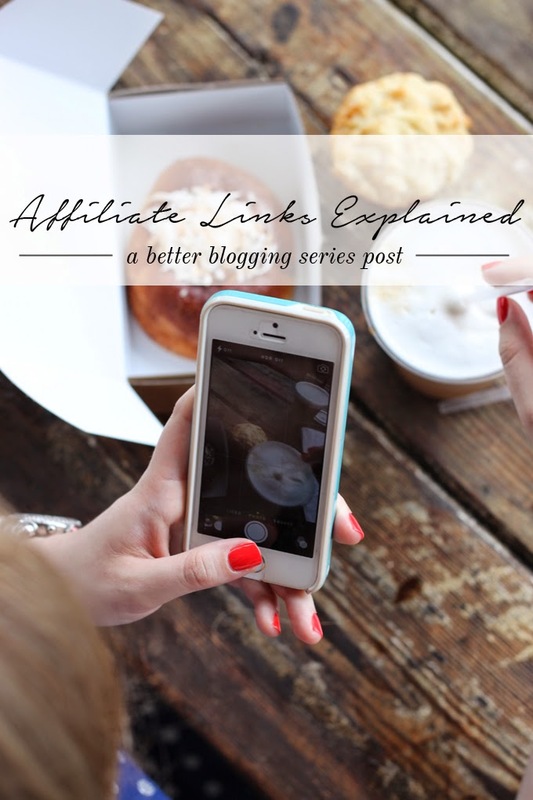 What is an affiliate link? An affiliate link is a URL from which a blogger may receive a small commission from a product that you purchase. Some affiliate links that you may notice are ones like rstyle.me, shopstyle, or liketk.it (more on this in a few). Probably Polka Dots uses all three of the links identified above and commission rates vary from advertiser to advertiser, product to product. Rest assured I'm not over here rolling in affiliate link dough. Liketk.it: Liketk.it is a relatively young platform that is a part of rewardStyle (rstyle.me), a blogger affiliate link program. For readers, Like to Know It allows you as Instagram followers to shop for products that you see on a specific blogger's Instagram account. I don't know about you, but I am always always always looking at Instagrams and wondering where a 'grammer purchased a bag, dress, bauble, or even home accessory. Liketk.it takes the guessing out of it. No longer do you have to click on a person's blog to access the information about a certain look. All you have to do is...wait for it...it's super easy...LIKE the picture. Yep, really. That's it! 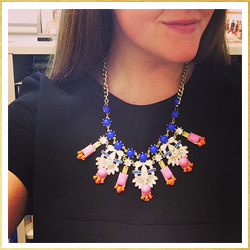 Once you like a picture, you will receive an email allowing you to shop your favorite bloggers' feeds. 1. Register: Register for Like to Know It - www.liketoknow.it - and sign in via Instagram. You can choose exactly what you want to see and when you want to see it (ie. you're not going to get an email every time you like a picture). 2. Instagram: Keep liking pictures that you, well, like. If you ever come across an image with @liketkit or #liketkit, you've found a picture that you can shop (like this one!). Like it and you'll receive an email with the shopable links automatically. 3. Shop: Find, click, and shop your favorite products right from your email feed. It's that easy! So, if you've been liking pictures on Instagram and wondering what in the world all of this liketk.it stuff was, now you know! Was this helpful? I sure hope so! How cool! I had no idea about this! Thanks for commenting and reading!